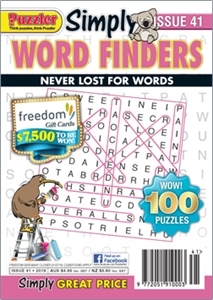 A5 sized, fun-filled, no-frills word-finder fun. Can be used just for pleasure for all age groups but is also a handy tool to help children with reading and spelling in a fun way. With regular competitions, and a no-fuss, no-nonsense format, this title is simply great quality for a simply great price.